The following strategic commentary appeared in the form of a long letter responding to an invitation by the chief transport planner of Penang with the State Government Office to comment on a strategic presentation and commentary he was about to make at end year in Kuala Lumpur reflecting back on the Penang Transport Master Plan (2013-2030) carried out for the State by Halcrow and AKC Planning and published in a final version in October 2-12. Mr. Lim’s commentary. Cross Roads, Game Changers & Bulls’ Horns, is available here. (1) There is virtually NOTHING that is new or unknown in Penang’s sustainable transport challenge. Drop by drop the whole situation is perfectly transparent. The problems are well identified, as are the solutions (and the notorious non-solutions). So all you have to do is be intellectually curious, diligent, look around and learn from the best. (2) The original Halcrow plan was a competent if traditional technical report with some sensible recommendations for the near term, however overall not up to the underlying strategic challenges and pressures that Penang is facing in the sector. It needs to be brought up to date from an independent perspective without client interference or steering to take into account all that has been learned, and all not done, since 2012..
(3) Mr. Lim’s commentary does a useful job to update and comment the original Plan, but is neither sufficiently ambitious nor sufficiently critical of performance since 2012 given the scale and pure transparency of the problems and the tools we now have available. But he asks interesting questions that can help update and expand the focus of an eventual new strategic report. (4) The great enemy of the planning and policy process which has now taken firm hold in Penang today is that of ad hoc decisions and out of the blue announcements concerning both transport and land use initiatives which are being regularly made and which go against both the short and the long-term interests of the people of Penang. (5) There is no reason to wait any longer to initiate a sustainable transport policy in your state. To the contrary, every day of gross system underperformance, which is your case, is a form of unnecessary social, environmental and economic injustice. It does not have to be that way. (6) The problem is not the money. It’s the vision. It’s the strategy. It’s the lack of transparency and communication. It’s the leadership. My prognosis: Penang deserves far better and the citizens and civil society in Penang should be actively involved in the struggle for a competent far-sighted transport and land use policy for the State. We also would like to see more independent, informed and aggressive investigative journalism to monitor these developments, as well as more interaction with the leading universities and centers of competence. I very much hope too that the World Bank and Asian Development Bank will get actively involved in this process. It would be an excellent thing as well if the national government could now also come on board to work with local government in the best interests of the people of Penang. Finally, I note that in recent months there have been several invitations by the delegations of the governments of The Netherlands and Sweden to work directly with Penang to bring in the fruit of their own experience and competence, hard gained after decades of facing many of these same challenges. As things stand today, however, the key to the success of a real sustainable transport and sustainable city policies in Penang are going to be through the active, continuing and persistent involvement of Civil Society and the leading associations, the watchful shepherds of democracy. The State is fortunately to be richly endowed with groups that should definitely have a major role in turning the present process around..
Tingkat 56 KOMTAR, 10503 Pulau Pinang. Thanks for this opportunity to share my comments with you on your draft commentary (click here). I anticipate that there may well be others who do not agree with what I have to say here. That is just fine: open, vigorous discussion with full participation. These are very important issues and deserve our very best efforts. First of all, let me congratulate you for taking this initiative to explain your public statement on your proposed 2015 action plan. It is clear that you have put a great deal of time, work and thought into it, so the least I can do in return is to share with you my best unvarnished reactions and suggestions for your 2015 work program. In this sort of exercise I have to admit that I have a professional habit as a long-time university professor and policy advisor, and that is to say exactly what I think when I am dealing with issues in my areas of professional competence. Which is definitely the case here. Thus I am going to be very frank in these remarks, but I hope at the same time useful. My basic point here is that while I concur with a number of the individual points you bring up – many of which are important and good – I DO NOT AGREE WITH THE BASIC STRATEGY. What I see in these nine pages is very familiar to anyone working at the leading edge of these issues, and I have seen similar exercises in quite a number of cities and countries where they have learned all the words of sustainable transportation — but then when the chips are down are not ready to give up their old “forecast and build” patterns of actual expenditure. So despite the fine words they end up de facto spending most of their transport budget on infrastructure to accommodate inevitably increasing and ever faster motorised traffic, with considerable lesser spoonsful of hard earned taxpayer money for “public transport” that will never do the job. At best it is a nineteenth century solution to a 21st century problem. Modal share goal far too modest! Your Master Plan sets the goal of a 40% modal share by 2030 for what they refer to as “public transport” (which clearly from the text boils down to scheduled fixed route bus and rail service . . . which in themselves are far from sufficient in your context). Given the realities and possibilities that are before your government this is far too modest a target. 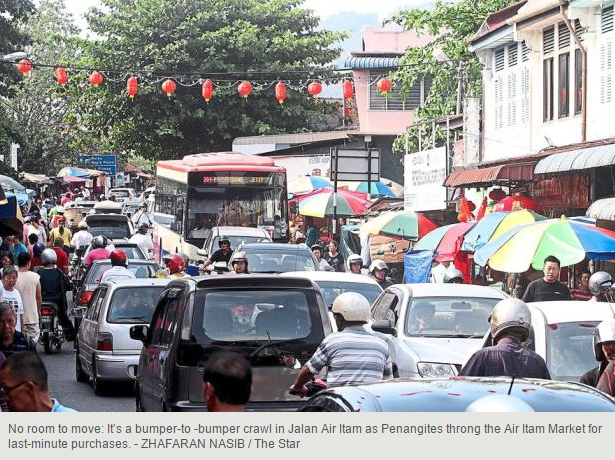 I would propose instead that the ambitious goal of Penang’s capable state government should be to achieve 60% modal share for “non-car” travel by 2020. Now THAT is a target that (a) you are perfectly capable of achieving and (b) that will take you out of the Little Leagues of clueless developing countries satisfied to work with strategies of the last century (and second rate international consultancies that are happy to peddle the old ideas for a high price). Thus, for the purposes of democracy and efficiency, the goal should be to endow Penang with a “better than car” transport system for all. And that in the FIVE YEARS DIRECTLY AHEAD. You can do it, you should do it, and eventually you will do it. But unless you pull up yourselves by your intellectual and political bootstraps, this transition will take decades to make. During which time a lot of your fellow citizens are going to find themselves stuck in traffic, paying for exotic infrastructure that they do not need, or waiting for a bus in the driving rain. A second fundamental weakness is that the statement add the plan are not giving enough importance to the critical transformative task of fully integrating land use with mobility planning. The pattern today is very unhealthy. By the de facto land use policy and development decisions you are building in spread development and dependence on cars. But your draft puts the several words that you have on this fundamental priority topic on the last pages with a few waves of the rhetoric which do not get to the structural core issues. The only path to a sustainable city lies in a very substantial reduction to the number of cars coming into, driving within or being parked in the city. This is not something that will give way to half-way measures. The means for accomplishing this and the examples of how to go about it, are now many and well documented. Get it right and there will be no surprises. True, you are going to get great resistance to this, particularly from all those who are more or less happy with the half-functional car-city that you are today. But if your present government is ready to do its homework and take on these challenges, you will become examples of great leadership. If you are going to have cities with lots less private cars, you are going to have to have not just one or two but a whole web of different ways of getting to and around in them. This is an extremely rich field of new practices, which include ridesharing, carsharing, taxi sharing, active transport and a whole new generation of mobility modes which have at their core information and communications technologies. Most of these are low cost, implementable in the short term, and many of them are planned and delivered not by government but by the enterprise sector. And civil society. 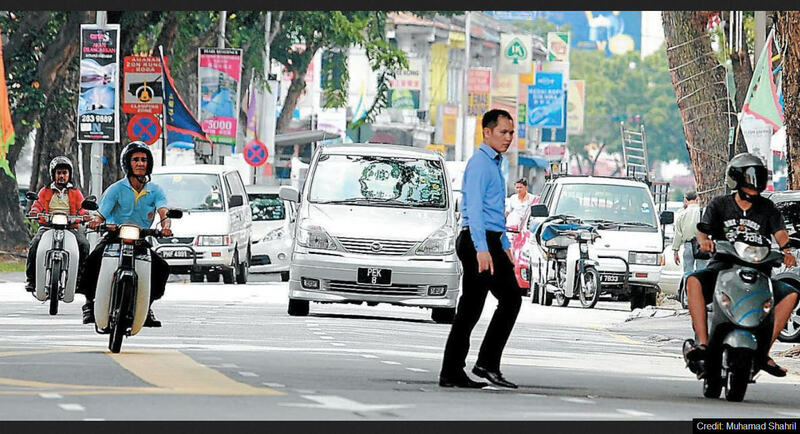 Your draft does not open the door to and give sufficient priority to these better ways of getting around which are going to be critical in the vibrant Penang you all so much hope for. 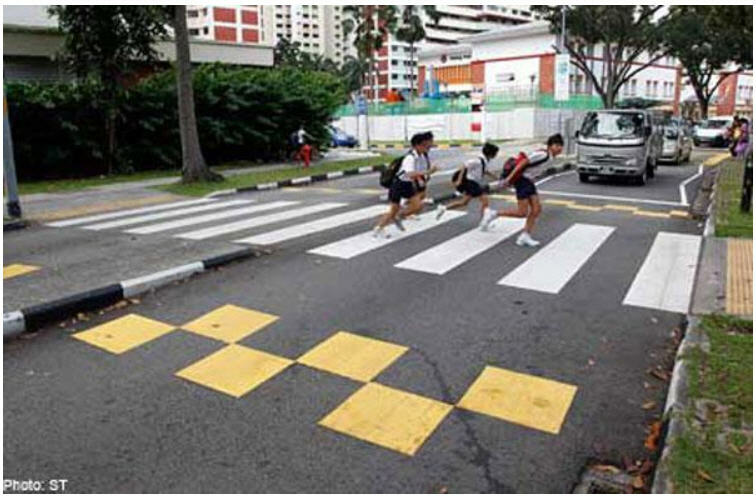 50% road fatality rate reduction by 2030?. This issue is both deeply symbolic as well as providing a clear, inescapable metric of how your new approach is doing. All you have to do is to count the corpses. Road safety – if you are serious I would suggest that you target a 50% reduction by no later than 2020 (and not 2030 as indicated). This can be done, but it requires total commitment by the State government. Examples abound. The Swedish Vision Zero project – reducing road fatalities to as close to zero as possible – has not only done a huge amount for greatly improving road safety in Sweden, but other countries and cities have been inspired by their example. 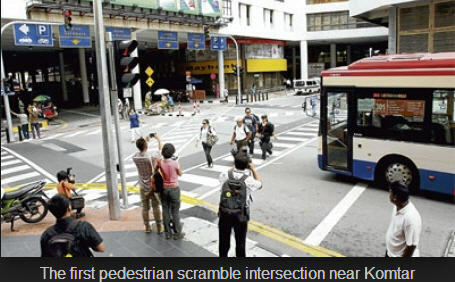 Even the great city of New York has recently launched its own Vision Zero project, and if you think it is going to be a challenge to do it in Penang. I suggest that you talk about it to Mayor de Blasio in New York, since he is the one who has accepted the challenge personally. Culture has been defined as all that is left for a person from whom everything else has been taken away. It is invisible, until that person makes their first move. And then we see it. We have all grown up in the 20th century to a culture based on speed and distance, which has lead us to the present sprawl patterns of our cities. And we have grown up in the automotive age where we have the right, it seems. To drive as much, as fast, as far and when and where we choose. But that “culture” demonstrably does not work for all the reasons you know so well. So here is the challenge. If we are to move with reasonable comfort level to this new behavioral paradigm, we are going to have to change our behaviour. And not just “the man on the street”. All of us. This means that you, your boss, your boss’s boss, your family, your neighbors, we all have to change a bit. We can no longer drive as fast as we might like (which normally is pretty fast), when we like, where we like, and behave as if the road belonged to us. This is the real challenge of sustainable transport, sustainable cities and sustainable lives. And is perhaps the most important reason why it is so difficult. And so important. You talk about a “transport” master plan, but the very word transport locks the reader (and the writer) into a demonstrably inefficient mid-twentieth century mindset (which we call “Old Mobility”), which focused and spent the great bulk of the public money on hardware and in particular to support roads, related infrastructure and of course our out of control twentieth century plague, the modern motor car. So may I suggest that you title it “IMPLEMENTING PENANG MOBILITY MASTER PLAN” and then take the whole thing from this perspective, which is what Penang deserves. And if you could convince your present CM to rebaptize your own “Traffic Management Unit” to “Mobility Management Unit”, you would thereby be announcing that the goal is not to “manage traffic” as it is to provide fair, efficient and affordable mobility for all. However a quick comment on the ORDER in which you present your overall strategic objectives. Presented in this way, it de facto suggests that the No. 1 priority (basically infrastructure for vehicles) will be where the bulk of the money is going to get spent (which is wrong if your goal is, as you say, to focus on people and not vehicles). Then by putting “public transport” into the second slot, you are de facto condemning it as a residual second level priority. Likewise the way the text is phrased, PT gets read as more or less traditional bus and rail based transit, while in 2014 there is a lot more to it than that. In sum on this section, I would suggest that you consider rethinking the firing order, and perhaps expand your present last point to also include, and possibility start out with, the Economy, as well as Livability and the Happiness Index. Because if the economy is not working everything else will deteriorate. Very important I would say, and you may wish to start with it. It may help the reader to focus, if you pop a section title just after your fifth point on p.2. Perhaps if you just call the next section “Challenges””. The seven points you make in this Challenge section are excellent. Right on target. The only bit I might take exception to is the last sentence in which you say it will be hard to do. For my part I would say, “yes there are barriers, yes it is difficult, but yes, we are going to do it.” Leadership! Public Private Partnerships: I would be very very careful about future PPP deals in Penang. There are hungry sharks in those warm waters. At the very least it should be mandated by law that make sure that all meetings, aspects and talking point are made publically available and kept consistently on line and regularly updated. Tourism: You mention the tourism sector and its economic importance in several places. Fair enough. But the goal of mobility policy in Penang should be to provide highest quality services and structures for Penangites. If it works well for them, it is going to work well for your tourists. Let me stop here, since I do not have time to take the Master Plan document line by line. But as I read it I remember my reaction more than a year ago when I first read the Halcrow Transport Improvement Plan. I found it workmanlike, conservative, surprisingly out of date and very British (which does not put them at the top of the league table when it comes to transport planning and policy, not least because transport policy in Britain has emerged as a backwater and place politically committed to old and poor ideas). The best bits were those where they look out for the next 2 or 3 years, which you have happily integrated into sections of your present draft. The worst parts are when they peer into the more distant future. Let me make one final positive recommendation. And that is that you concentrate for the next three years or so in preparing and implementing an ambitious program of transformative structural change, along the lines suggested here. Because as you do it, as you succeed in innovating in this new way, when you see the results the “better, faster, cheaper” mobility measures can give, it is most likely going to change your vision of the future. You will not be alone. A great deal is being done in these areas the results of which are readily and freely available to you. A good reference here is the European collaborative program, EPOMM — the European Platform on Mobility Management at http://epomm.eu/index.php. So if you were interested in pursuing this to find a way to somehow affiliate Penang with EPOMM and profit from their enormous experience in putting their heads together on these issues as world leaders, well you can be sure that I would be right at your side in these discussions with the leaders, who are after all longtime friends and collaborators. Let me end with this plea: Reach higher Penang!. Aspire for greatness Penang! Refuse to be ordinary. Put democracy to work through active citizenry. Put the best of your thoughts and the very best of what you can achieve into action for the present and the future of Penang. Please, I entreat you. It is your choice. With warm wishes to you all. PS. Let me end with a story. Back in the mid-sixties the city of Helsinki (just about the size of the greater George Town area) engage a leading American consultancy to devise a transport plan for the twenty years ahead. The consultant did pretty much the job that all the transport consultants were doing those days and came up with a blueprint for a city with a lot of cars. This made sense on the surface since Helsinki was fast growing after the desolations of the war, and the car was on most peoples’ minds. But the city council looked at it, paid the consultant, and put the report into a desk drawer. That was not the city they wanted. They then set out on a combined transport/city planning program which has led to a leading city where today there are still cars, but where more people get around by other means. And now are working on a plan to have a city pretty much without cars by 2025. So if Helsinki can do it, why not Penang? And if you are interested to learn from them let me know and I can put you in direct touch with the people leading the program there who I am sure will be pleased to share their work, conclusions and plans with you. Bottom line: You have many more friends out there on the leading edge than you may know. I can only suggest that you start to get to know them.